A new farmers market started this past week that takes place right near where I work. Got to check it out with my boss and get some fresh green beans. It will be nice to have it so close, and now three days a week with farmers market options! The top of my dresser by the window has been a fun place for months. 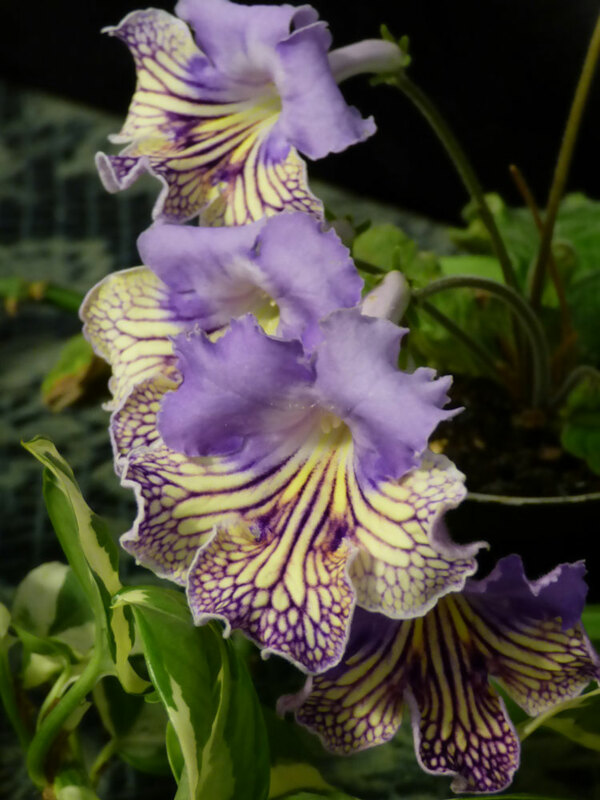 First it was the streptocarpus blooms in March and part of April, then the African violets were blooming like crazy. Now that the violets are winding down, the streps are getting back into it again. My biggest strep currently has flowers on three different stalks but arranged in a row so they almost look like a string of orchids. Just loving it! What with this upper 90s plus dew point in the 70s stuff going on again (and a low just under 80 for tonight!) I am SO GRATEFUL for air conditioning! And not just that, but that my portable AC has a timer function, and that I have an extra timer. My first time plugging in a standing fan to the spare timer so the fan could help the cool air not just stay in my bedroom. It certainly helped and I'm very grateful for it!